This course takes place twice during May and June and is targeted to aspiring teachers and yoga practitioners from all traditions. It is for yoga therapists, healers, psychotherapists, yoga / pilates teachers and others who seek a deeper understanding of Yoga Nidra. Experience a spiritual inner depth of yoga, often unrecognized in popular practice today. Extend your practice and expand its impact. 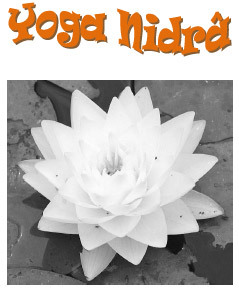 In Sanskrit yoga-nidrâ means yoga of the sleep. Yoga it is the union, the union of the consciousness and the energy, the visible and the invisible. The sleep it is the unconscious. The yoga it is the awareness, the clarity (brightness), the lucidity, the observation of what escapes the common attention. Yoga-nidrâ it is thus the infiltration, the penetration of the consciousness in this dark, opaque, sluggish zone that is the sleep. 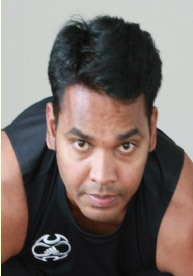 Regeesh Vatta Kandy started his yoga studies when he was seventeen with the traditional teachers from Kerala. The searches for higher studies in Yoga lead him to the great Bihar Yoga Bharati (the first university of Yoga in the world). After that he has been teaching Yoga in India as well in abroad.